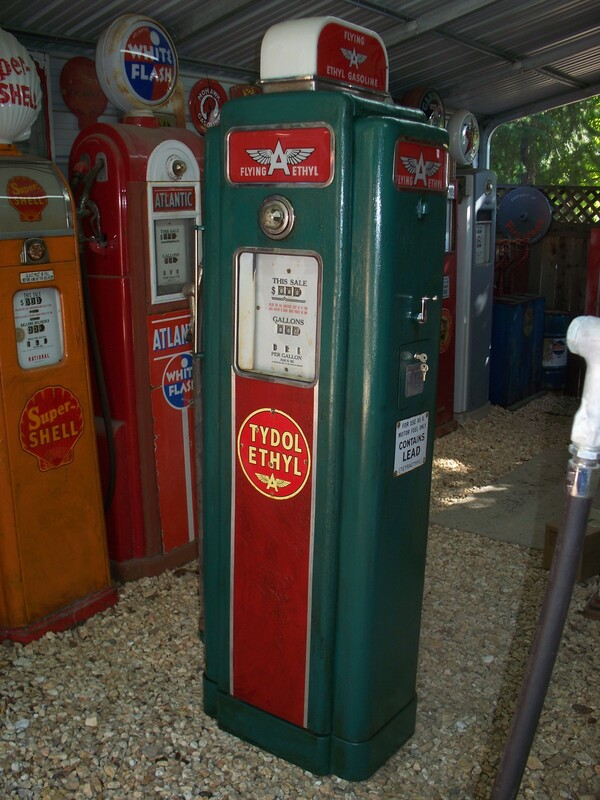 I just have a question , this is a 1957 National 365 Porcelain gas pump . 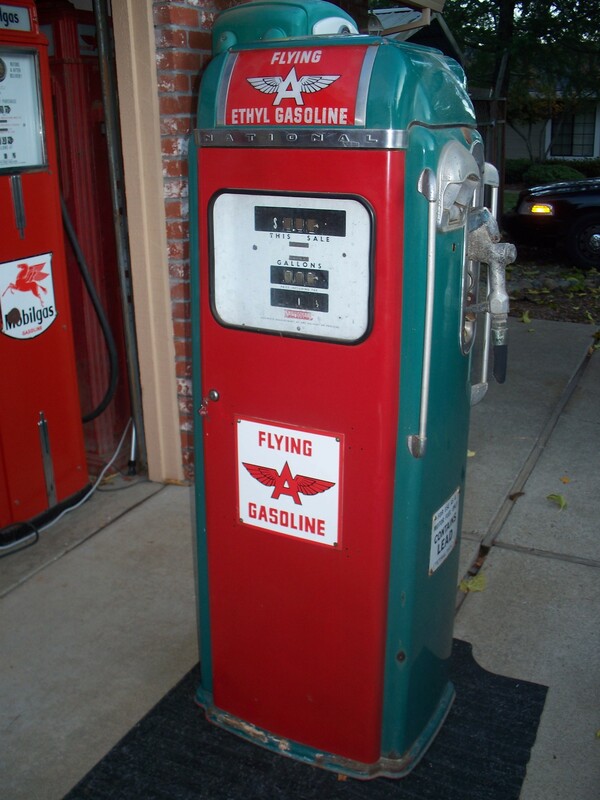 I picked it up a long time ago in Nampa Idaho along with a second incomplete pump , this one has the original flying A ethly ad glass the other had the flying A regular ad glass . This pump is not restored the only thing not original are the pump faces . We all see the National pumps in the I guess you call it lime green porcelain so whats up with this blue green color? Sorry for the dark pictures. Here's one that appears to have the darker blue sides and top, but has the lighter green on the doors. 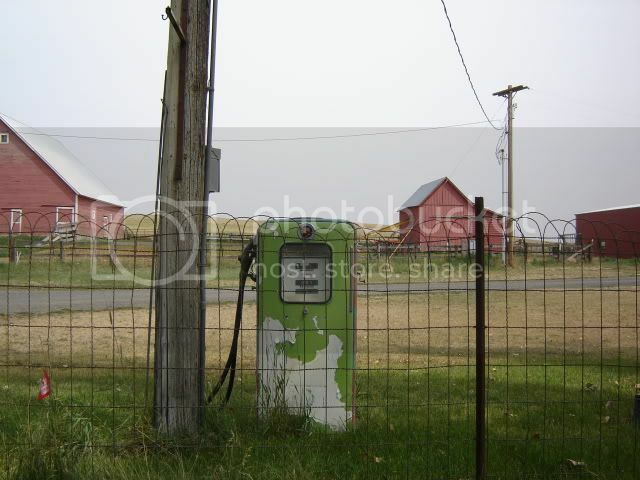 Thanks Bob , maybe this color was used in a certain part of the west , what State is that pump in ? Never seen that color porcelain pump but I like it! I've seen a couple of those Flying A blue porcelain National pumps here in Washington state. Great pumps. The pump is still being used in Eastern Washington State. This color is rare. It was used for a short period. I have not pinpointed the exact years but I think it was used somewhere between 1957 and 1959. There were two combos, all blue-green and blue-green body with red doors. I have seen many pumps with this color under repaints. They switched to a light blue-green color around 1960. The above Rapidaton pump is all lime-green and the visable blue-green was painted over the lime-green. Their cans, other packaging and advertising switched colors as well. 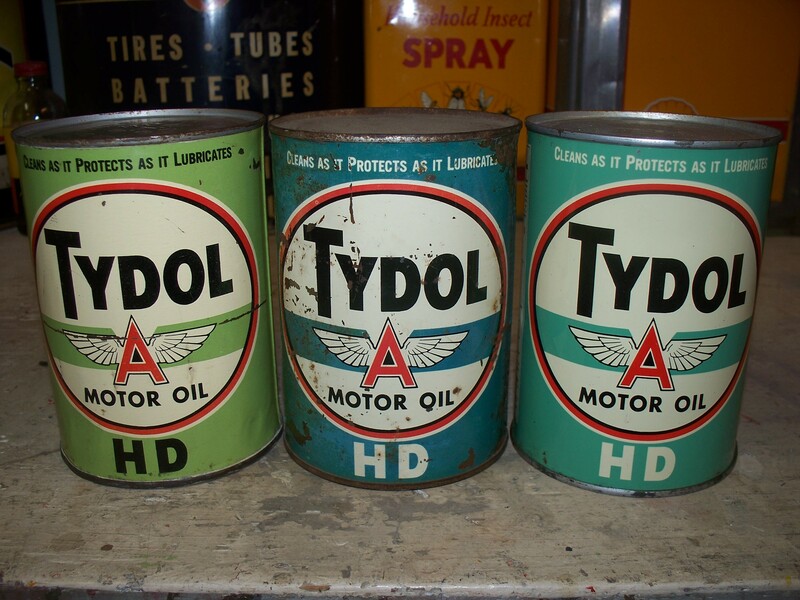 Here are some Tydol cans in the three colors. Also here is a A-360 in the blue-green I used to own and a Wayne 70 I did a rustoration on using the blue-green. The colors were used across the country. I have an nos porcelain National 360 top in the box. It's the same color...I'll have to check but if I remember correctly it has Getty ad glasses in it. Super cool. I did not know they made that color of porcelain pumps. 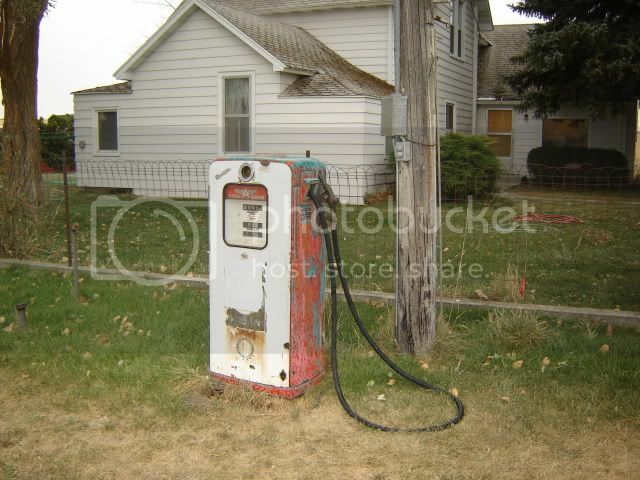 There were the painted blue ones used on the oil can racks also.